I know. If you were a pupil, it would be your dream to have your college’s corners covered in some good Transylvanian szalonna (bacon) and let it be stolen by dogs, and you wouldn’t have to go to school. Well, in our case (in Transylvania) things are a bit more complicated. The Székely Mikó Reformed College stands as a landmark in Sepsiszentgörgy (Sfântu-Gheorghe in Romanian). When I lived there as a child, I always looked at the place with great admiration. It had a magnificent and commanding presence. It was built by contributions, owned and operated since 1859 by the Reformed Church until it was seized by the Communists. The regime took it from the Church, as it did with all such properties. It was subsequently used by the Romanian state for its own purpose. In addition, the Communist regime “sold” the apartments that were part of the college and had served as accommodation for the teaching staff. In May 2002, ownership of the property was duly restored to the Reformed Church, applying the law on property restitution that is still in effect today. The Romanian state subsequently sued for the nullification of the restitution – in effect, seeking to re-nationalize it — and demanded monetary compensation from the Reformed Church and the imposition of severe criminal penalties for the officials who had ruled in favor of the restitution. 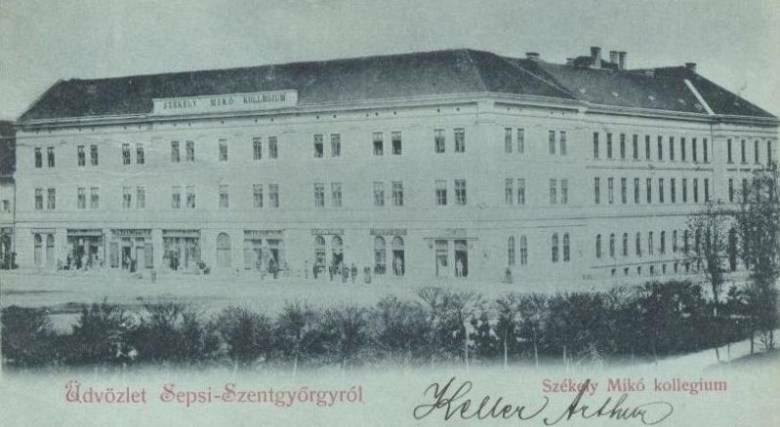 The evidence appeared to be unassailable: the Székely Mikó College belonged to the Reformed Church in 1948 when it was illegally nationalized. Moreover, the officials of Sepsiszentgörgy — members of the city council and the mayor — testified in the proceeding in support of restoring ownership of the college to the Reformed Church. 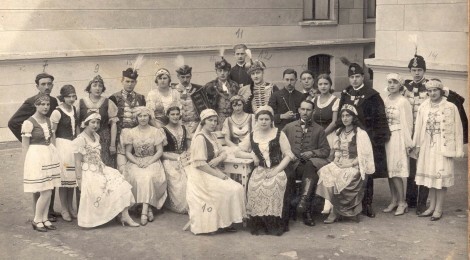 Class reunion at the Székely Mikó College in 1930. In the end it was stolen, again. Or, in softer terms, re-nationalized. At the conclusion of the first stage of the trial, June 29, 2012, the three individuals who defended the private property rights each received three-year prison sentences, the Reformed Church was ordered to pay 1 million Romanian lei, and the property was re-nationalized. The Hungarian community justifiably views this case not only as an illegal seizure of private property by the state but also as an act expressly directed against the community and an expression of intolerance and discrimination. The Romanian state is now questioning the ownership of all estates that were restored to private owners since 1990. This act of re-nationalization sends a clear message internationally that in this country anything can be changed at any time, that there is no legal case that cannot be reopened and no private property is exempt from re-nationalization. Properties of the Romanian Orthodox Church – the unofficial state religion – are, of course, in no such danger. On the contrary, the state supports the building of new Orthodox churches with hundreds of millions every year. Since the case of the Székely Mikó Reformed College, the response of the state’s Special Committee of Restitution is to deny any similar requests for restitution of property belonging to any organization, foundation or education institution founded or administered by the church. The Romanian state does not respect its own Constitution, which guarantees the right to private property. It does not matter whether your ancestors have built a humble house, a castle or a school, nor that all of these were illegally seized by the Communist regime and misused, nor that some of these buildings were returned to their rightful owners in severe disrepair. Romania observed its own laws only until it was accepted into the European Union. Once in the EU club, it began again to seize properties that had been returned to their proper owners. The state sent the representatives of those properties and those standing up for the right to ownership of private property to prison, just like in the darkest days of Communism. The students of the stolen school are asking for their rights. Their right to study in the Reformed College. When the state ordered that even the name of their college had to disappear, they showed the most beautiful display of disobedience. While workers were dismantling the plaque stating that the name of their school was Székely Mikó Reformed College, they wrote the name on white sheets of paper and put it in the windows. As I write this, it has just been reported that the Romanian Supreme Court has rejected the appeal and thus rejected the restitution of the College to its rightful owners. Some people think that Europe will never wake up, and they can continue to misuse the precarious Romanian legal system to again seize church properties just like their Communist forebears. But I have some news: Europe will wake up, and we will see people raising their voice to make this heard throughout the European Union. So, dear students, don’t celebrate just yet: the dogs won’t be taking away your school. At least not yet.